School may be out, but the Katz Center is still humming, as we make plans and preparations for the coming fellowship year focused on the Jewish study of nature. 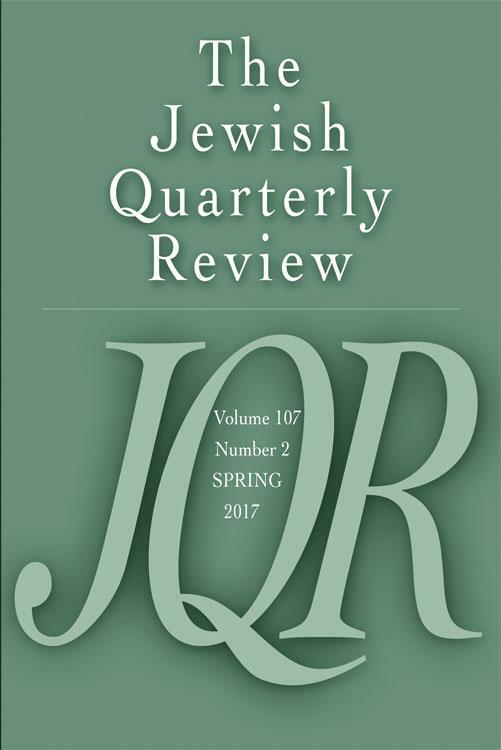 On our bookshelf: a new issue of JQR, an exciting library acquisition, and the latest from our Jewish Culture and Contexts series with Penn Press. Also in this newsletter: we recap the end of the year on Jewish politics, look ahead to 2018-2019, welcome a new board chair, and remember a colleague. This fall, an extraordinary cohort of scholars will convene in Philadelphia for a year of study on the theme “Nature between Science and Religion: Jewish Culture and the Natural World.” Fellows will engage the history of science, medicine, and technology from the perspective of Jewish culture as they collectively explore the theories, institutions, and paradigms that have shaped—and been shaped by—Jewish attitudes toward nature. Click here to see the full list of fellows and their projects. The fellowship will support scholarship on Jewish life, culture and thought as these have developed in modern times across North Africa, the Levant, the Arabian Peninsula, and Central and South Asia. We will question the meaning of modernity beyond the more familiar European, American, and Israeli contexts and welcome research projects that address topics from the sixteenth century and later. Full details of the theme and application process here. We knew this past year's fellowship theme would be timely, but we couldn't predict just how pressing Jewish politics would seem in 2016-2017. It was a lively year indeed, and conversations among fellows are still ongoing even after most have returned to their home institutions. A book of selected essays in connection with the theme is now being planned, under the editorship of fellows Julie E. Cooper and Samuel H. Brody. Katz Center fellows were joined by invited speakers including Samuel Moyn, Amnon Raz-Krakotzkin, and Leora Batnitzky for an intense two-day program organized around the generative relationship between Jews and the state, drawing on the generative theoretical potential of the range of Jewish relationships to it. The program presented selections from the fellows' research projects from this year alongside papers by outside scholars working on related topics, widening and opening the conversation that had developed among the fellows over the course of the year. A provocative and agonistic final roundtable pressed for common themes and agenda items for the ongoing study of the subject, even as it displayed in miniature the complicated divisions that hamper it. Check out the full program here. Divergent Centers: Shaping Jewish Cultures in Israel and America, concluding the 1996-1997 dual themes of Jewish Religion and Culture in the American Diaspora, 1920–1970, and Israeli Culture and Society: The Formative Period . 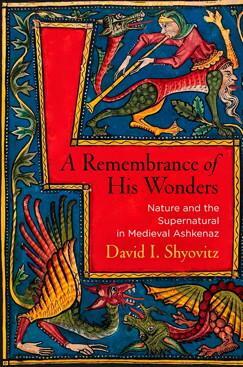 With the Katz Center's turn to nature in 2017-2018, it's a perfect time to note the publication last month of David Shyovitz's book A Remembrance of His Wonders: Nature and the Supernatural in Medieval Ashkenaz. Analyzing a wide array of neglected Ashkenazic writings on the natural world in general, and the human body in particular, Shyovitz shows how Jews in Ashkenaz integrated regnant scientific, magical, and mystical currents into a sophisticated exploration of the boundaries between nature and the supernatural. 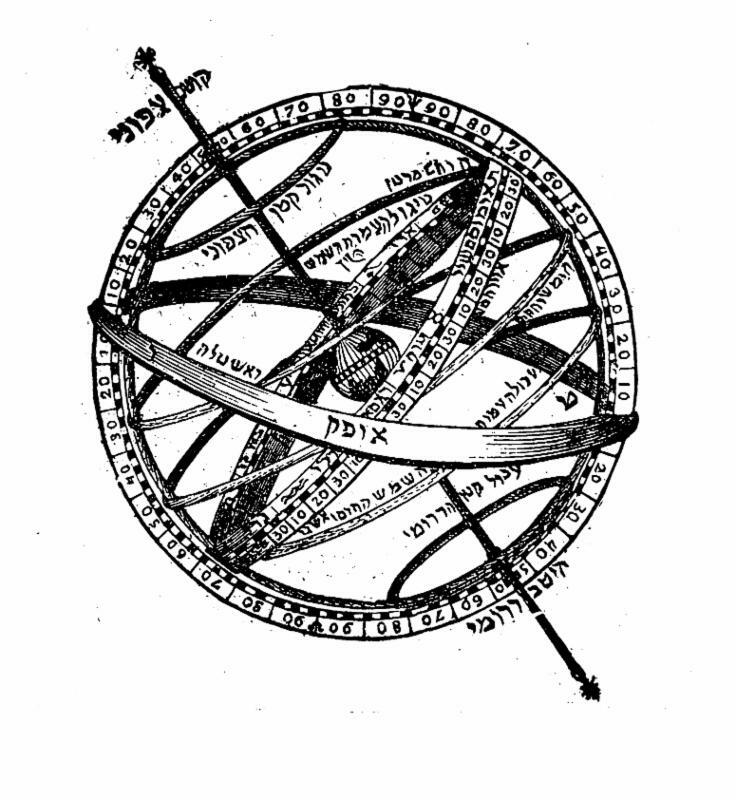 Medieval Jews' preoccupation with the apparently "supernatural" reflected neither ignorance nor intellectual isolation but rather a determined effort to understand nature's inner workings and outer limits and to integrate and interrogate the theologies and ideologies of the broader European Christian society. Shyovitz earned his doctorate in Penn's History Department and was one of the architects of this year's theme. 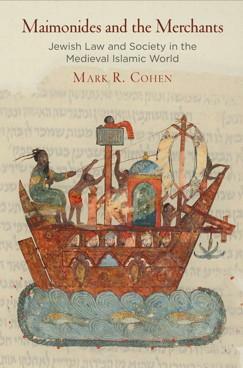 Just out this month is Mark R. Cohen's Maimonides and the Merchants:Jewish Law and Society in the Medieval Islamic World . 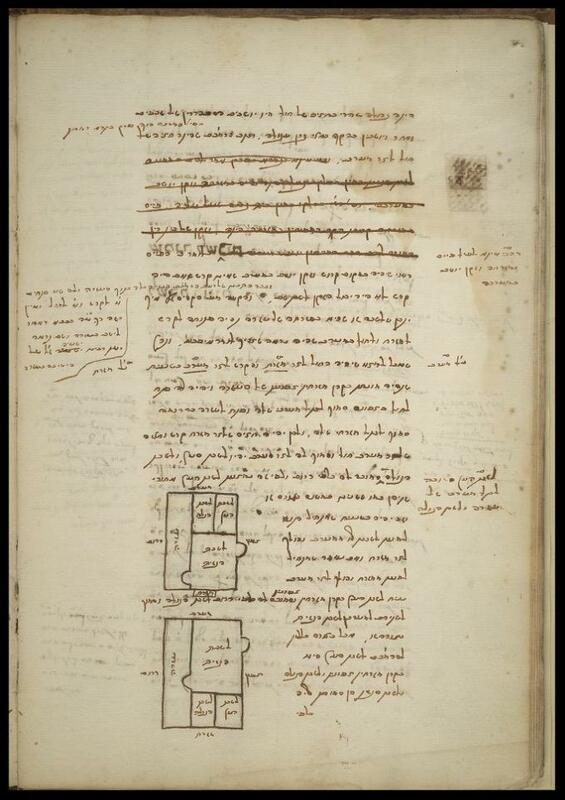 Making use of materials from the Cairo Genizah, Cohen uncovers the extensive legal reformulations that Maimonides carried out in order to more fully inscribe commerce into Jewish law. Cohen is Khedouri A. Zilkha Professor of Jewish Civilization in the Near East, Emeritus, and Professor of Near Eastern Studies, Emeritus, Princeton University. Cohen's book is one of the latest in the Katz Center's Jewish Culture and Contexts book series, published with Penn Press and edited by Katz Center Director Steven Weitzman, Shaul Magid (Indiana University; Beyond Reason '15-'16), and Francesca Trivellato (Yale University). Plus: a note from Miriam Bodian and Ide François on the fascinating autobiography of a converso imprisoned by the Inquisition, AND a review essay on two recent books about medieval Spanish Hebrew poetry. This issue's free-access article is Deborah Starr's illuminating piece on the early work of Egyptian-Jewish filmmaker, Togo Mizrahi. 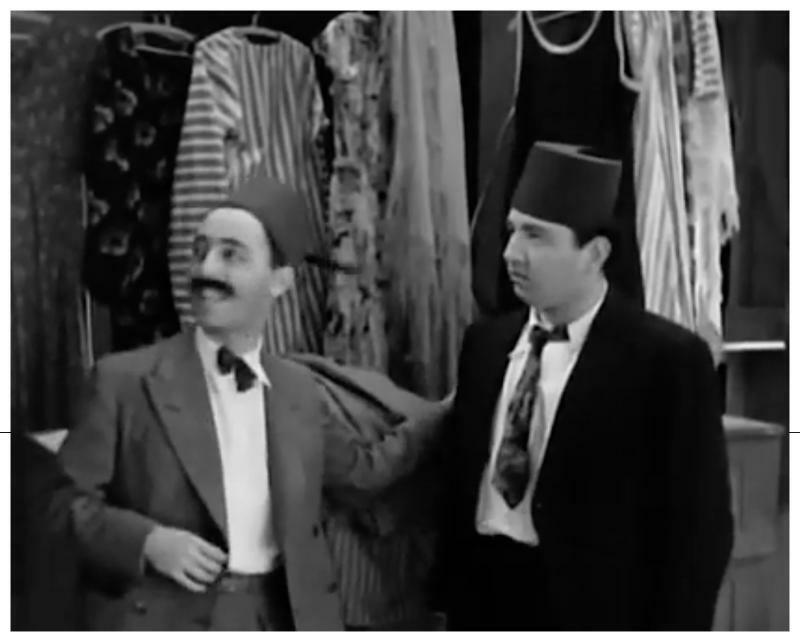 His 1930s films feature the comic exploits of a pair of best friends, one Muslim and one Jewish. Starr explains that the films represent a culture of coexistence among the lower classes, featuring Jewish, Greek, Nubian, and Levantine characters alongside the majority Muslim population. In contrast to the Egyptian Jewish bourgeoisie, Mizrahi portrays Chalom as a salt-of-the-earth, Arabic-speaking man of the people in order to articulate the place of Jews in the Egyptian polity and shape a popular imaginary of what it means to be Egyptian. Read for free without a subscription. See the rest of 107.2 via Project Muse or subscribe through Penn Press. Thanks to the Elis and Ruth Douer Endowed Fund for Sephardic Judaica, the Penn Libraries successfully bid at Sotheby's on a 14th-century Hebrew manuscript containing two unknown works of science and philosophy. According to former Katz Center fellow Professor Tzvi Langermann of Bar Ilan University, this work appears to be of outstanding importance, and may represent the earliest meeting between Hebrew letters and Arabic science and philosophy. Click here for a list of all 116 book treasures acquired through this fund. Public programs are still in the works for 2017-2018 so stay tuned. Meanwhile, there's plenty online from last year to catch up on. In March, the Katz Center presented Cracked Voices: Stories of Jewish Political Dissent and Fracture in partnership with the National Museum of American Jewish History and Temple University's Feinstein Center for American Jewish History. The program featured six irreverent storytellers from different walks of Jewish life, showing how disagreement may be the thing Jews have had most in common. In case you missed it, you can watch it now online along with many of our other public programs. Videos are found on our YouTube channel and our website . The Katz Center and Penn's Schoenberg Institute for Manuscript Studies (SIMS) brought Alessandro Guetta from the Institut National des Langues et Civilisations Orientales in Paris to Penn to study and teach about a rare Italian Jewish manuscript in the Schoenberg holdings. 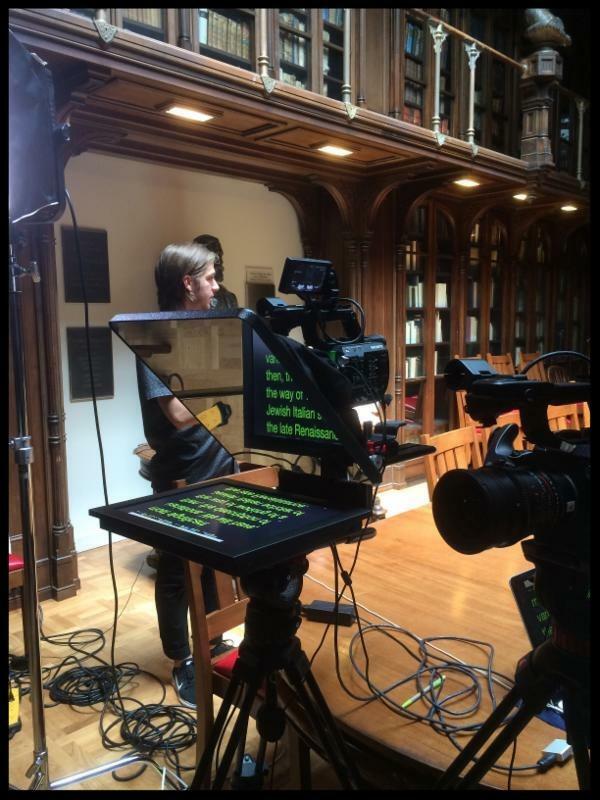 Guetta examined the book, filmed the lectures for a MOOC (Massive Open Online Course), and led an online seminar for a select group of advanced graduate students located all over the world. 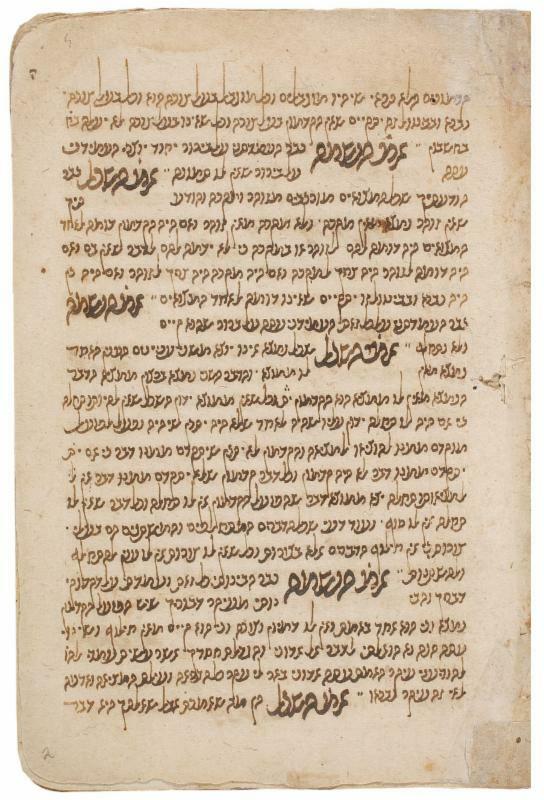 As the SIMS-Katz Center Distinguished Fellow in Jewish Manuscript Studies and with support from the Center's Ruderman Distinguished Fellowship, Guetta studied Malkiel Aschkenazi’s Tavnith ha-mishkan and Hanukath ha-bayith (now CAJS Rar Ms 460), produced in Mantua in the early seventeenth century on the construction of the Tabernacle and the Temple. He lectured on the manuscript and its context for a mini-course that will be available for free from edX. Together with Tzvi Langermann's contribution on a medieval scientific manuscript, they form the beginning of a five-part series exploring the ways in which attention to the physical attributes of manuscripts yield much information to supplement their content. This mini-course will be available this winter. To watch Langermann's course click here. Follow the CAJS Blog for news and musings about the Center, our annual theme and related programs, JQR, and more. One recent post, commemorating the Six Day War, offered a sneak peek of an upcoming JQR forum dedicated to the 2017 anniversary of this and three other notable years in the history of Israel and Zionism. The Katz Center is pleased to announce that Ivan Ross (W ‘83) will become chairman of our Board of Overseers starting July 1, 2017. Ross takes the helm after serving the Katz Center as an active member of the board for nearly a decade. 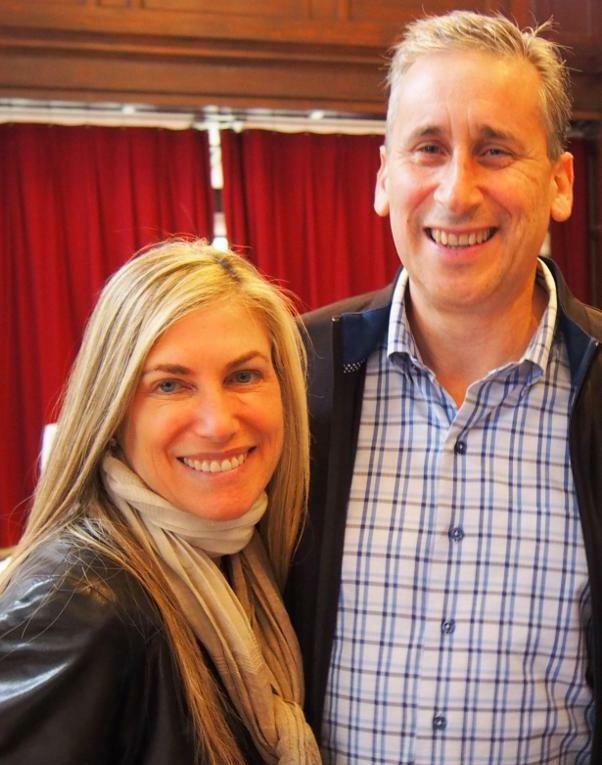 For Ivan and his wife Nina, supporting the Katz Center reflects a philanthropic commitment to learning as a central pillar of cultural strength and individual development in Jewish culture and beyond. The outgoing chairman, Thomas O. Katz (W '79), will remain a member of the Board of Overseers. Tom is the son of the late Herbert D. Katz (W ‘51). Herb, for whom the Center is named, was a crucial partner in developing the Center as an institution. Between them, father and son shepherded the board as chairmen for eleven of the Center’s twenty-four years. We extend our deepest appreciation for the continued support of Tom, his wife Elissa, and the entire Katz family, without which the Center would not exist as an unparalleled world center of Judaic scholarship—able to attract and support, foster and share the very finest scholarship from around the globe. We are deeply grateful for their dedication, warmth, and intellectual energy, and we know they will remain involved for years to come. The Katz Center, JQR , and the wider scholarly community lost a dear friend and colleague this spring. Elliott Horowitz was a coeditor of the Jewish Quarterly Review , a Katz Center fellowship alumnus several times over, an accomplished historian of Jewish culture, and an unparalleled wit. He is deeply missed. JQR 107.2 featured a necrology composed by surviving coeditors David Myers and Natalie Dohrmann, and it is also posted on our blog. While many of us knew Elliott's scholarly side best, this remembrance that ran in the Washington Post revealed another of the many worlds in which Elliott’s generosity and uncompromising spirit left their mark. With the FBI so central to the news cycle, Katz Center director Steven Weitzman's coedited book on the FBI and religion garnered special attention this spring. Penn's Omnia Magazine featured an interview with Weitzman on the topic. JQR coeditor (and fellowship alumnus) David N. Myers has been appointed President and CEO of the Center for Jewish History in New York, upholding the long JQR tradition of publicly engaged editorship. Send us news of your publications and other achievements so that we can feature them here. Meet our current fellows, read more about this year's fellowship theme, or find out more about the institution. You can support the Katz Center and its programming by making a dedicated donation through the University of Pennsylvania, or contact us to discuss your gift. Want to adjust the kind of emails you receive from us? Click here and enter your preferences.